“The Maid of the Mist” skirts the rapids at the base of Niagara Falls. English has borrowed words from the Norwegian language. A number is a mathematical value, a quantity used for counting and calculations. Try your hand at writing the date with Roman numerals. Write a sentence using one of the Norwegian loan words. 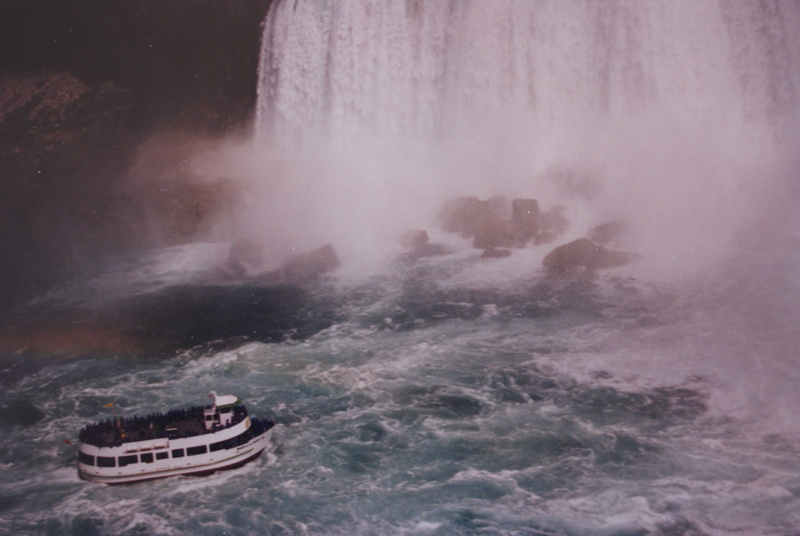 Niagara Falls tumbles into a great gorge where the Maid of the Mist skirts dangerous whirlpools.